Let's talk about what fits in YOUR school budget. Can you think of a local business who might become a Speaker Sponsor to bring an author to your school? Call (510) 542-9449 to discuss and brainstorm. SKYPE OPTION: If you buy a Teacher Pack 31 of either book and contact us via the contact form, you can schedule a 20 minute Skype author visit for FREE! 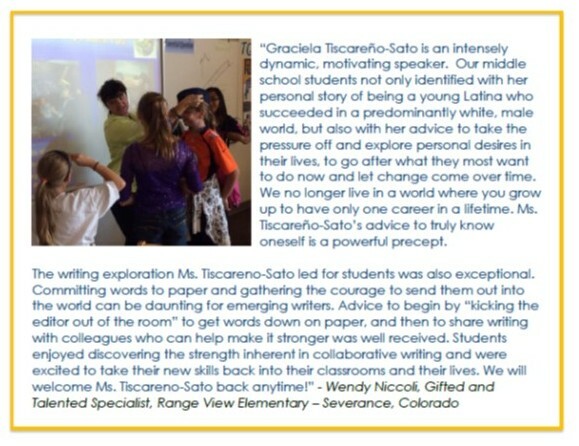 You can find testimonials from K-12 teachers HERE. Enjoy these photos from school visits by the author around the nation!